Clothing labels are a good thing actually since you’ll be able to spot your clothes much faster than others. It’s extremely useful when your dress up in a gym, pick up your clothes in a laundry or just make clothing labels for kids outfit. Clothing tags will also be a significant help for the laundry’s workers. At last, we’re all busy people and such badges save time on stuff search. The only thing you can do in this situation is to create colorful and nameable (wordplay spotted) clothing tags with our online badge maker 100% free of charge. If you need to have some clothing tags don’t hesitate and open MakeBadge immediately! Let’s try to reconstruct a round clothing label with our badge creator. Go to the main page, take a deep breath and start working hard! In the “Badge type” section, choose a “Rounded” form to proceed. Drag the arrow icon in the bottom right corner to custom the size of the future clothing label. 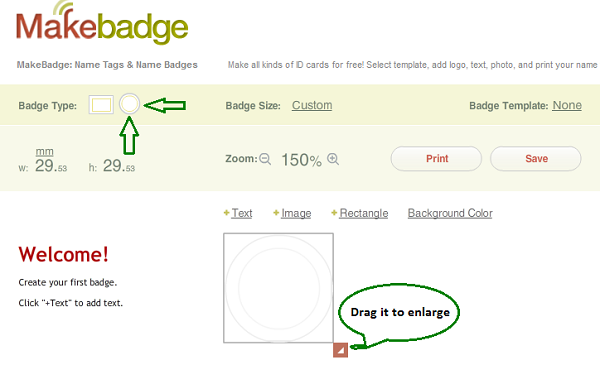 You can also select one of the predefined sizes that MakeBadge offers. When you’re done with the size, think over the image you plan to place on the tag. To attach an image to your clothes tag, search through the “Design” options above the template. 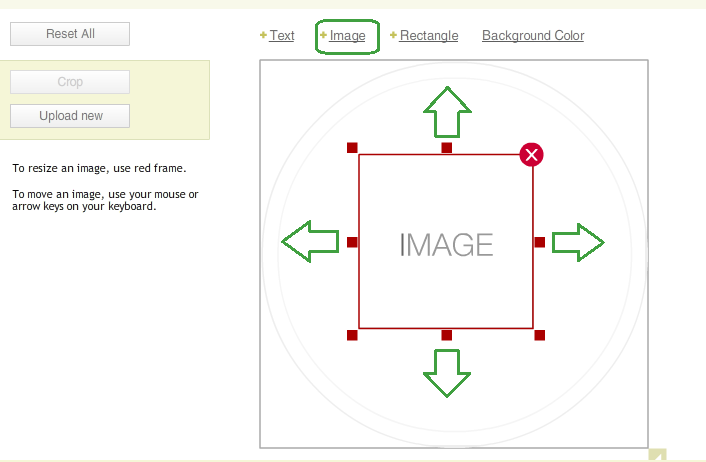 Click the “Image” to add the image section to your round shape. Usually we recommend keeping the image dimensions small, so MakeBadge maker could process it faster. But in our particular case, we’d advise you to do vice versa. We decided to fill in the most part of the surface with the image. That’s why you need to stretch the image section in such a way that it fills in the name tag’s shape. Click the Done button and enjoy the result! You can easily drag the image across the chosen badge shape to correctly adjust it. To add a background color to the rest of the tag, click the “Background color” above the editing area. Now we need to add a text to you clothing tag. Click the +Text above the editing area. Think over the font color, size and style. With MakeBadge, you can drag the text across the badge and change its parameters any time. When you are done, click the Print button to make your printer present you with the desired quantity of clothing tags. You can also click the Save button to upload masterpieces on to your computer. After you print the newly created round clothing tag, you’ll need scissors to make a hole and your tag is ready. As usual, we recommend you to print several versions. Compare your badge templates quality. What’s So Cool About MakeBadge? 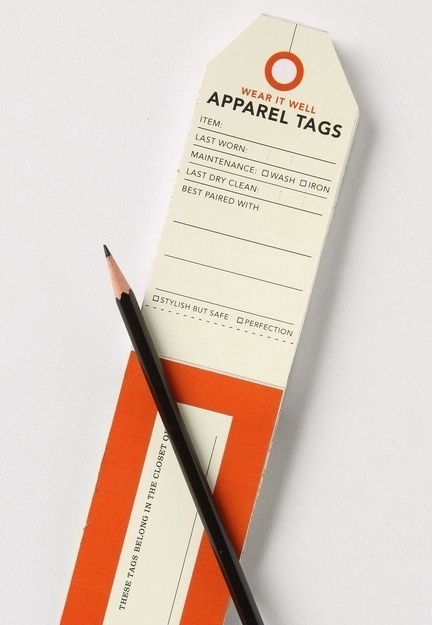 You can deliver small or big, round or square, practical and fashionable clothing tags! Your labels are free to create and they are a great giveaway for your customers. You spend time surfing the Internet for new designs and your name tags for clothes can look incredible. Your printer produces clothing tags created with MakeBadge and it doesn’t cost you a penny! 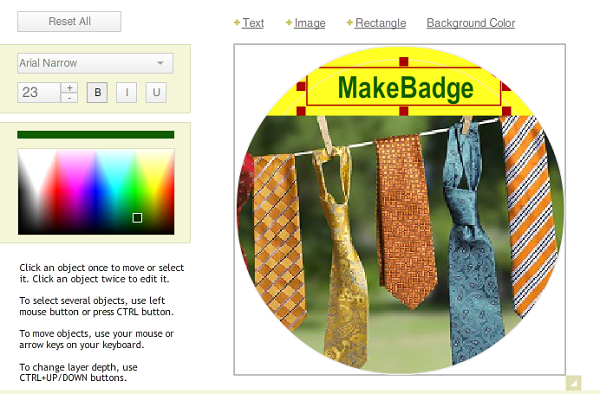 Get clothing tags with MakeBadge now! 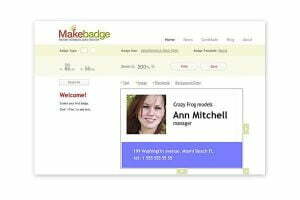 See All the Free Name Tags on the MakeBadge.